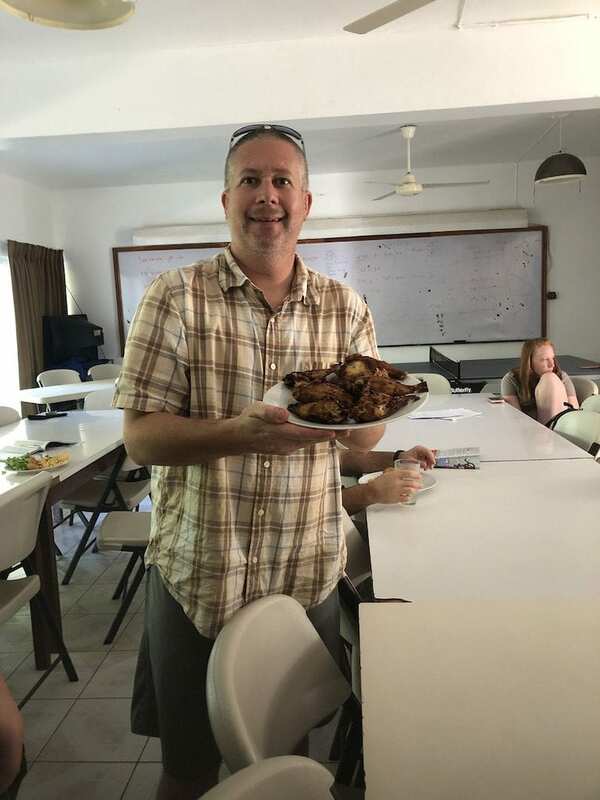 A picture of the caring fisherman, Joe, with cooked Lionfish. Yum! What about the barracuda? Well, you see, I didn’t really know it was a barracuda. I’ve seen some really cool looking silvery long fish (ie. Needlefish). When I saw a foot-long fish, I had to snap a photo of it. When I got closer, I was like hmmmm… seems familiar. So, I took a photo of it. I am very glad I saw it right after lunch, the fish was able to pose for me. Needless to say, it was a great barracuda! 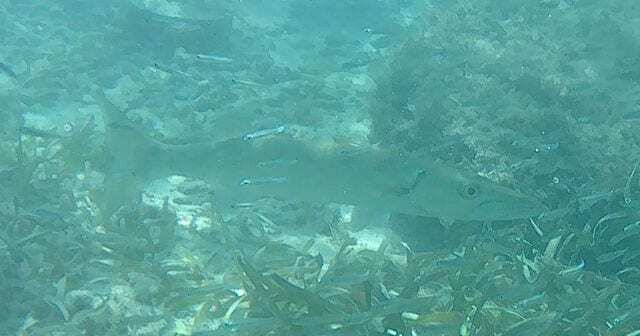 When I realized that I chased a foot-long barracuda for a photo, I was shocked. Being able to see this amazing fish up close and personal is breath-taking and I can’t wait to see what else Discovery Bay’s coral reef has to offer. A picture of the barracuda. Looks tasty! Bet it tastes like chicken, eh?